It's back and better than ever! So, plug in your headphones. It's time for Season 2 of the Blazing Trails podcast. 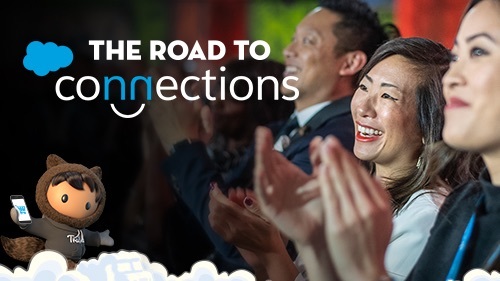 For those who missed it last year, Blazing Trails is our premier thought leadership podcast, featuring compelling interviews at Salesforce events, including Dreamforce. 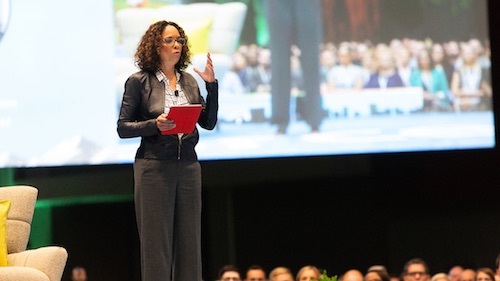 On Season 1 of Blazing Trails, listeners heard from a variety of Trailblazers, including Billie Jean King, Patricia Arquette, Jimmy Wales (the founder of Wikimedia), Elizabeth Gilbert (the bestselling author of Eat, Pray, Love), and even got a behind the scenes look at how Dreamforce comes together. 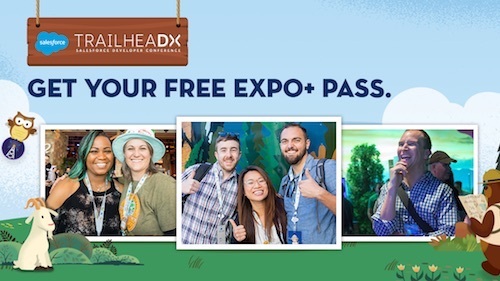 Heading into Dreamforce '18, listeners can tune in now to get an inside look at all Salesforce events and experience some of the inspiring insights we've collected from Trailblazers around the world. 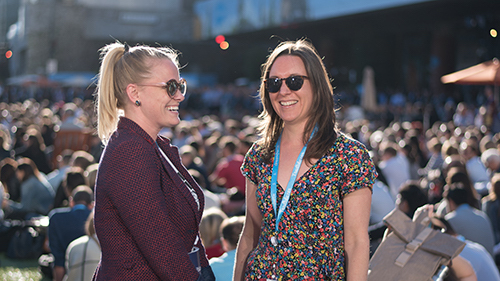 Just like Dreamforce, Blazing Trails goes beyond product roadmaps to share compelling conversations on topics like the future of work, tech for good, the environment, and more. This season, hear from Ashton Kutcher, Ginni Rometty (the CEO of IBM), Taraji P. Henson, Natalie Portman, Adrian Grenier, Sallie Krawcheck (the CEO of Ellevest), Diane Greene (the Google Cloud Senior Vice President), Adam Grant (author and psychologist), and many more! Tech for Good: It's no secret that technology is a huge part of our everyday lives. We use apps and smartphones to track the weather, figure out when the next train is coming, catch up with our friends and family on social media, and read up on the latest news from around the world. Recently, there seems to be a negative reaction to the pervasiveness of technology in our lives. Many of us question if tech is actually good for us. Does tech ultimately lend us tools for good? What are some of the ways that technology is being used for good? In this season, we'll discuss how technologies are being used to make the world a better place. Another Look at Artificial Intelligence (AI): Did you know that Season 1's AI episode was our most listened-to episode? AI still represents a considerable opportunity for business and society to increase productivity, innovation, and growth. For the promise of AI to be fully realized, society must trust the institutions and companies that bring it into our lives. In turn, there is a responsibility to implement AI in a way that promotes privacy, transparency, accountability, and limits biases to ensure that tech has a positive impact on all levels of society. In this season, we'll explore the many considerations AI providers must think about. Equality For All: With actresses telling untold stories and paving the way for people of color to broach the subject of race in the workplace, we'll explore the many facets of equality this season. We'll speak with Taraji P. Henson, Natalie Portman, Ellevest CEO Sallie Krawcheck, Deloitte Consulting CEO Janet Foutty, and many more to hear how these Trailblazers find the strength to live as their full, authentic selves. Learn how their diverse experiences, unique perspectives, and commitment to staying true to their personal values helps them succeed in business. Sustainability: Maintaining a beautiful earth is a cause that's near and dear to us at Salesforce. On a planet where everything is connected, even the health of our oceans is intimately linked to social and economic well-being. New technology and creative ideas are allowing us to explore how we can take what we need while still promoting a sustainable, prosperous future. We'll also explore actor Adrien Grenier's pledge to “Stop Sucking” and cut down on plastic straw use to help save our oceans from pollution. Are you a big podcast fan? Salesforce Admins Podcast: Love Salesforce, but want to dig deeper? Check out the Salesforce Admins Podcast, where you can hear stories from actual Salesforce Admins who are building amazing things for their companies and careers. Every Thursday, hosts Mike Gerholdt and Gillian Bruce share interviews with inspiring people from the Salesforce community and product experts. You can find the Salesforce Admins Podcast on iTunes, Soundcloud, Stitcher, or your favorite podcast platform. The Marketing Cloudcast: The Marketing Cloudcast is the podcast for and about marketers who lead the way in their companies and careers. In every episode, listeners will get to dive into a unique marketing topic and listen to interviews with multiple experts in a narrative-style podcast. It’s light on unnecessary fluff and heavy on inspiration and insights you can actually use. You can listen to Blazing Trails wherever you get your podcasts, we're on iTunes, SoundCloud, and Stitcher.